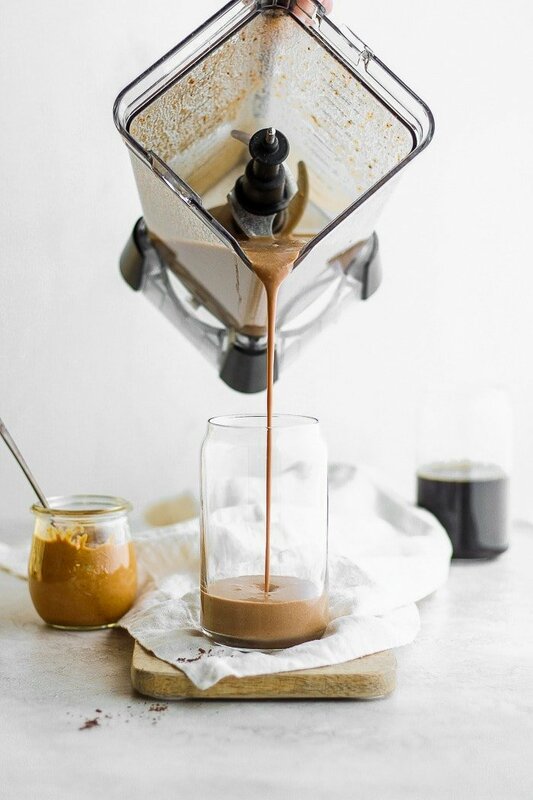 Start your day off right with this Peanut Butter Banana Cold Brew Protein Smoothie! 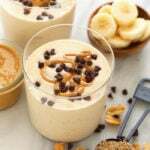 If you love the peanut butter banana combination with an added boost of protein, then you will love this healthy breakfast smoothie! 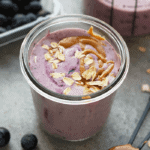 Add your favorite scoop of protein to this smoothie and you are set for the day. I bet you have all the ingredients in your kitchen, right now! Have Your Coffee + Eat it Too! I haven’t always been a smoothie girl. 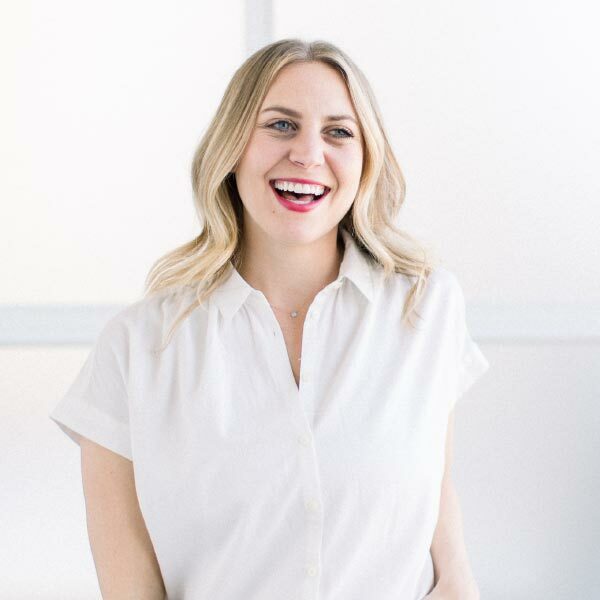 If you talk to the other ladies on Team Fit Foodie, they would tell you that I love to start the day off with a piece of arugula toast or a breakfast salad with a hard boiled egg. 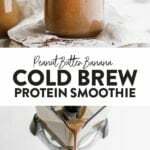 However, smoothies like this peanut butter banana smoothie with protein and cold brew coffee are my JAM! Why? Because it is the perfect combination of sweet + savory! 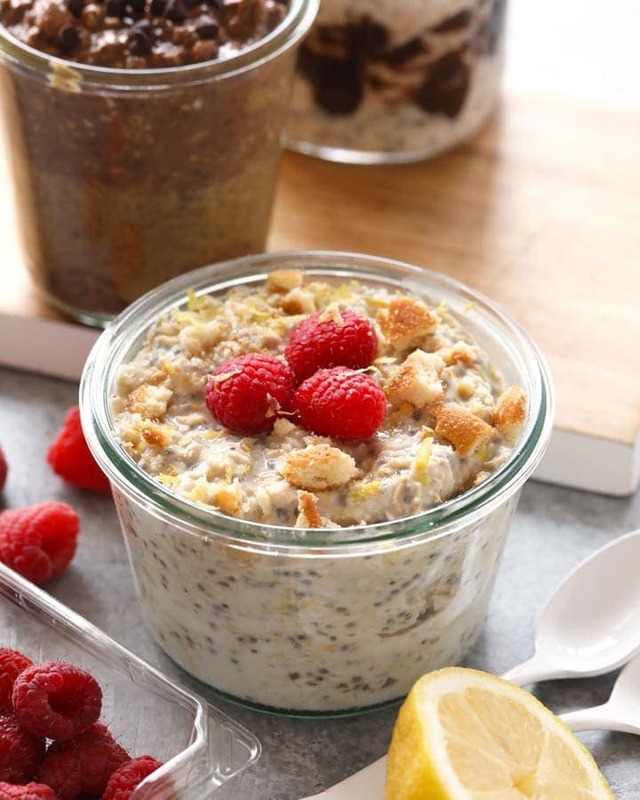 The sweetness of the bananas brought together with the protein powder and the coffee creates the perfect combination for someone who loves sweet and savory in the morning. 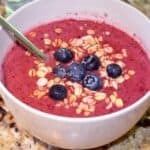 Another thing I love about healthy breakfast smoothie recipes is that they are a great quick and easy breakfast option for people like me who get up early for a workout and need a nutritious breakfast in a hurry. 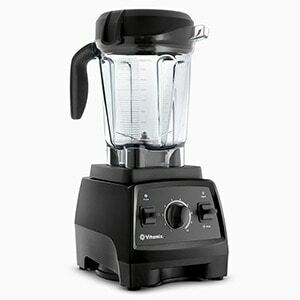 Add to the Vitamix and blend. Another bonus of this protein powder smoothie is that you get your breakfast and your coffee in one sitting! Holler at your girl if you have already jumped on the cold brew coffee game! You will get your vitamins and your caffeine fix in one sitting with this tasty smoothie! We love bananas here on Fit Foodie Finds. They make the perfect base for any smoothie. And? They are affordable! Check out our post on how to freeze bananas so you always have them on hand for a quick smoothie ingredient option. No bananas? No problem. Any frozen fruit will work for this recipe! 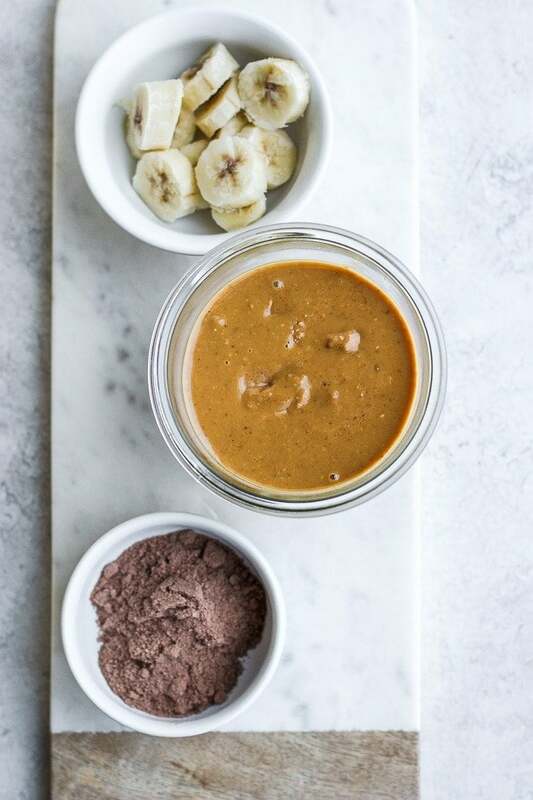 Yes, the flavor will change, but if you add peanut butter and protein powder to any smoothie recipe you are bound to have one delicious smoothie! We are the queens of almond milk on Fit Foodie Finds. 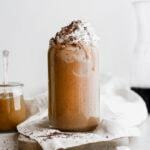 We have some slammin’ posts on date sweetened almond milk and 5 different ways to flavor almond milk on Fit Foodie Finds. 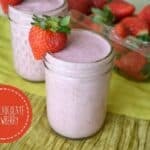 They are dairy free options for your smoothies as well as they add great flavor to any smoothie you are making! If you don’t have time to make your own almond milk, we stick with the rule of buying any UNSWEETENED almond milk that is unflavored. Whatever is on sale, people. 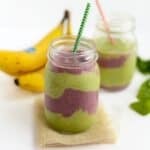 If you are dairy people, there is no shame on using whole milk, 1%, or 2% milk in this healthy breakfast smoothie. YOU DO YOU. Protein Powder. Everybody has their opinion on protein powder. We talk a lot about our favorite protein powders in this A Guide to the Best Protein Powder. However, taste buds, dietary restrictions, and definitions of “clean eating” are so different for everyone! 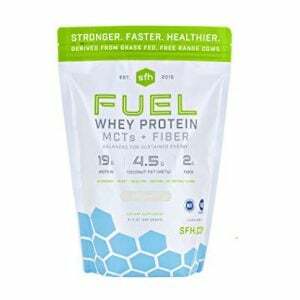 Personally, we love SFH Pure Whey Vanilla Protein Powder for whey protein and Garden of Life Raw Organic Vanilla Protein Powder for our vegan protein option. They taste great in smoothies and baked goods. Those are the things that matter to us most. Any protein powder will work for this smoothie. 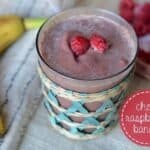 You do you and use your favorite protein in this healthy breakfast smoothie! We support you completely. Cold Brew is the new buzz, people. We love getting our cold brew at Trader Joes or we love Chameleon Cold Brew. Both of these brands are easily available and taste great! 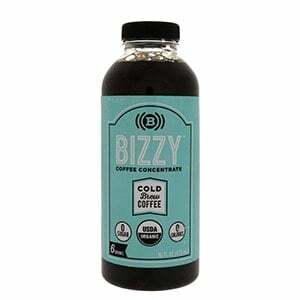 Another awesome Minnesota born cold brew brand that we love is Bizzy Coffee! You just can’t go wrong. Choose a cold brew that is available to you or check out all of our favorite brands on Amazon (we love you Prime). 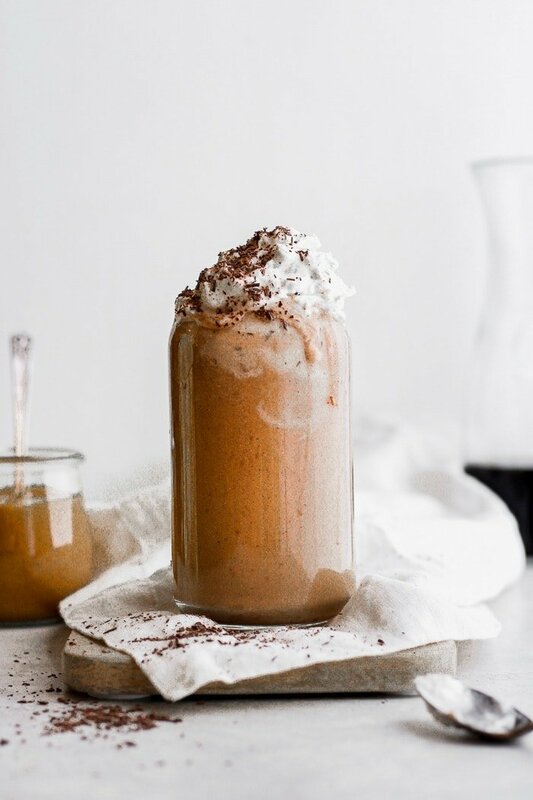 Any tasty cold brew will work for this peanut butter banana cold brew smoothie! 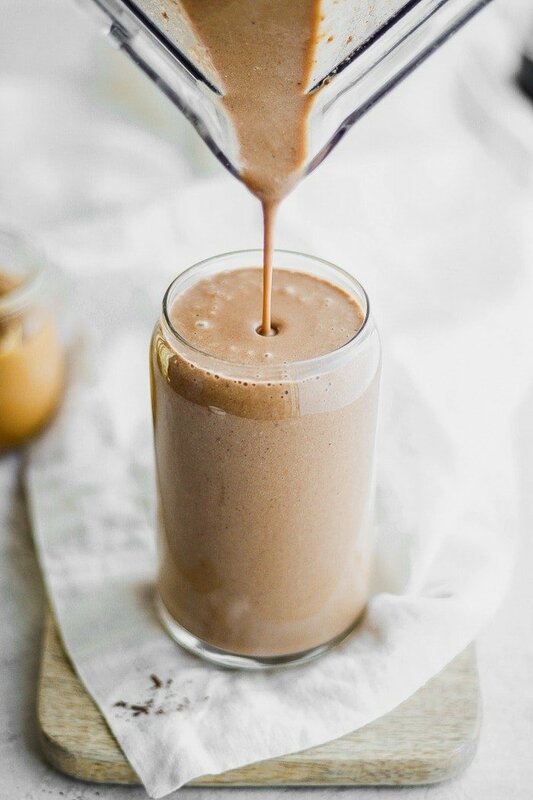 Start your day off right with this Peanut Butter Banana Cold Brew Protein Smoothie! 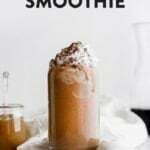 If you love the peanut butter banana combination with an added boost of protein, then you will love this healthy breakfast smoothie or snack smoothie. 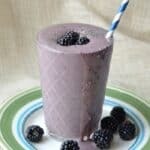 Add your favorite scoop of protein to this smoothie and you are set for the day. I bet you have all the ingredients in your kitchen, right now!